Learn how to crochet a snowflake or snow flower decoration following our easy to explain video tutorials. 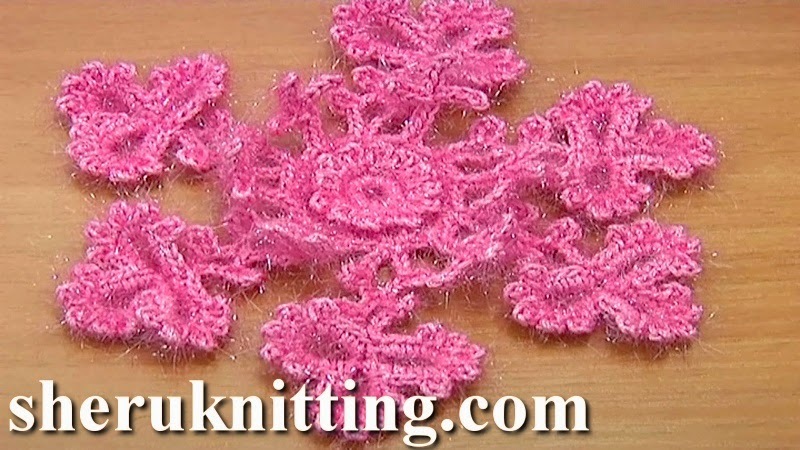 In part one of the same tutorial we started to crochet this snowflake: made a center part and started petals. The snowflake ornament consists of two elements or petals: one is the small element or petal make of chain stitches and slip stitches; and the second element is a large petal made of big loops with picot trim around. You need to work only four rounds to create an awesome decoration for the winter holidays. Good luck!